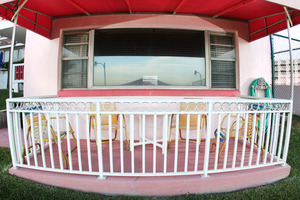 Rm 29 - Poolside OceanFRONT 1 Bedroom Suite. 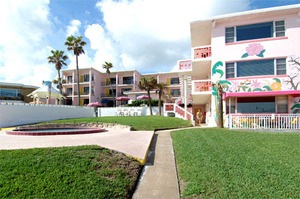 Just Steps to Pool and Ocean. Large, Private Oceanfront Patio. Max Occupancy: 6 Updated in January, 2017 with 3 Brand New Double Beds and New Bedroom Furniture. 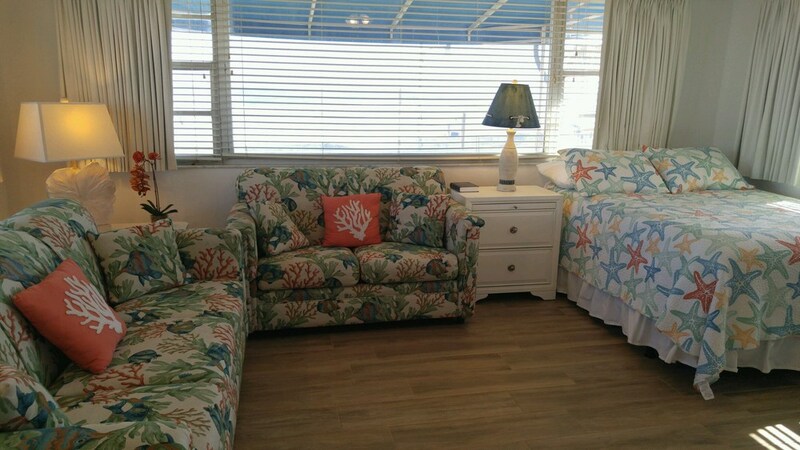 New Beach-Themed Queen Sleeper Sofa and Loveseat in Living Room. (New Photos coming soon.) Direct, OceanFRONT Location. Closest Room to our Pool and the Ocean. 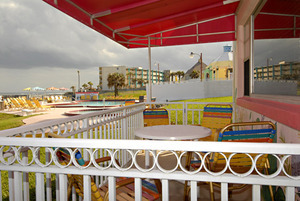 You Will Really Feel Like You Are at the Beach If You Select Suite #29! Spacious living room with direct oceanfront views. 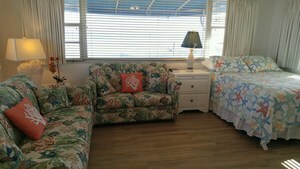 1 Double Bed and 1 Queen Sleeper Sofa in Living Room. Large separate bedroom with 2 Double Beds. 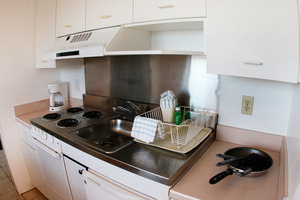 Full Kitchen/Dining Area. 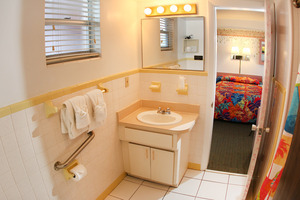 1 Full Bathroom with Tub and Shower. Sleeps up to 6 guests. "GREAT PLACE TO STAY! Stayed the first week of Oct. and had a great stay. Will be back again next year. 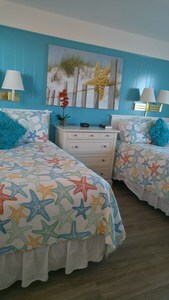 Nice folks and clean rooms at a good price, what more could you ask for!"